It’s no secret real estate prices are high in the Charleston area. A recent study by Coldwell Banker Real Estate added more proof. The firm, in its 2015 Home Listing Report, showed Mount Pleasant as having the highest home prices in South Carolina for a four-bedroom, two-bathroom property. Price: $475,966. Charleston came in third at $336,138. Where is it most affordable for a similar home? Hartsville, home to Sonoco packaging giant and Coker College in mostly rural Darlington County. Price: $169,871. Coldwell Banker compared prices of more than 81,000 similar-sized homes between December and June in 2,722 markets. North Myrtle Beach came in second at $348,710. Tega Cay, near Rock Hill, ranked fourth at $305,490; and Chapin, near Columbia, rounded out the top five at $278,104. Peninsular Charleston soon will have a new upscale housing enclave in row house and single-family designs. Halsey Park at 76 Halsey Blvd. off Lockwood Drive features 10 two-story row house homes over parking, all with elevators, rooftop terraces and a central courtyard between all the homes. It will also include nine single-family homes. The first five row houses along Halsey Boulevard are under construction and will be completed by the spring. All have been sold. The second set of five row houses are on Barre Street and have just been released for sale. Two of the single-family lots have sold. The lots range from the $400,000s to nearly $700,000. Overlooking Alberta Long Lake with sunset views, the row homes are selling between $1.2 million and $1.6 million. They are the product of Bennett Hofford Construction Co. of Charleston and Stein Investment Group. Upper King Street recently saw an upper-price luxury property sale, a sign of increasing property values in the once-boarded-up part of the city that is now thriving. An out-of-town buyer paid $2.85 million for the 4,698-square-foot penthouse at 517 King St., said Debbie Fisher, owner and broker-in-charge of Handsome Properties, which handled the sale. The residence above A+E Digital Printing includes four bedrooms, four and a half baths, a wet bar, office, workout area and 800-bottle wine cellar. It also includes a 5,500-square-foot rooftop retreat with a pool and hot tub. It was listed for $2.995 million. King and Society Real Estate is now at 93 Society St. in downtown Charleston after moving from Mount Pleasant, said owner and broker-in-charge Troy Barber. The office doubles as a check-in station for the nine condominiums above Stella Nova Spa Salon and Beauty Boutique at 292 King. The condos, known as The Quarters on King, are leased for nightly stays from $300 to $500, Barber said. 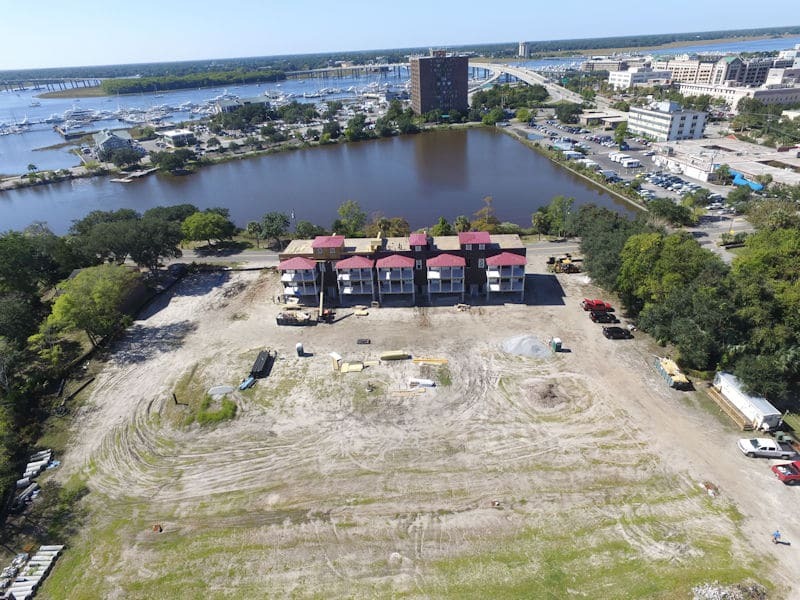 Global Quality Real Estate, or GQRE, of Mount Pleasant has merged with Dunes Properties, which has offices throughout the Charleston area for its boutique real estate, vacation rental and property management company. The GQRE office at 1510 U.S. Highway 17 will be rebranded as Dunes Properties, and broker-in-charge, Catherine Parker, will continue managing it. Mount Pleasant-based Ziff Properties recently sold Maplecrest Industrial Park, a 63,300-square-foot flex center in Charlotte for $4.7 million to an undisclosed buyer from the western U.S., the company said. “Ziff Properties plans to redeploy the capital into retail with strong significance to surrounding neighborhoods,” said Christian Chamblee, director of acquisitions and chief operating officer. Copyright 2018 Stein Investment Group. All Rights Reserved.